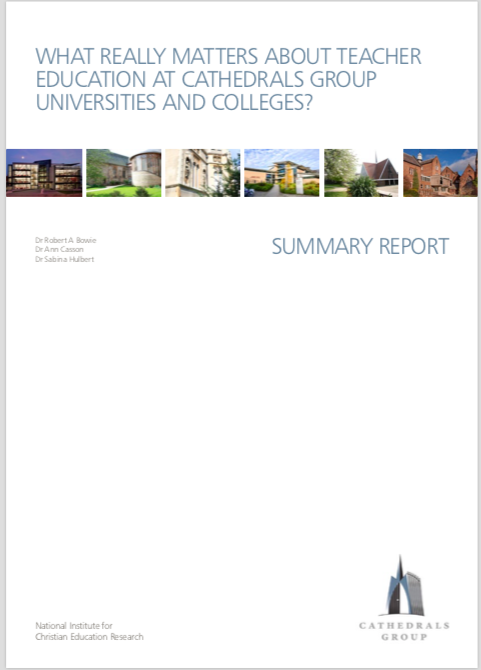 The NICER project, What really matters about teacher education at Cathedrals Group universities, sought to understand better how teacher education staff, partnership schools student teachers perceived their teacher education institutions and programmes including specific reference to the Institution’s Christian foundation. The data was collected between November 2016 and January 2018. To investigate what Christian foundation universities, ITE trainees and partnership schools claim about ITE trainees at the point of qualification, that is particular to the institutions’ Christian foundation. The National Institute of Christian Education Research at Canterbury Christ Church University led the research project. The project took place over two years with a pilot and qualitative phase and a quantitative phase. Leeds Trinity UniversityIn addition, Bishop Grosseteste University participated in the quantitative phase of the project. Reports are now available online for downloading. You can download a presentation here.